Ayrton Senna is as discreet in death as he was lively in life. The last resting place of Brazil's most charismatic Formula One champion is marked by a brass plaque on a circular lawn, surrounded by almost identical plaques laid into the ground. There is no headstone and just a handful of flowers in plastic pots. The only indication someone special lies there is the reverential stream of pilgrims who regularly stand over it. "I come here every week or so," said Joao Antonio Castro, a car mechanic and salesman. "We still miss him terribly. That timid way of his, that desire he had to win, it captured us all. There was no one like him." There are other famous people buried in Sao Paulo’s MorumbiCemetery, an oasis in the south of the city bordered by slum dwellings on one side and luxury high rise apartments on the other. But comparatively few visitors make a pilgrimage to see singer Elis Regina, fashion icon and TV star Clodovil, or singer-songwriter Wilson Simonal. 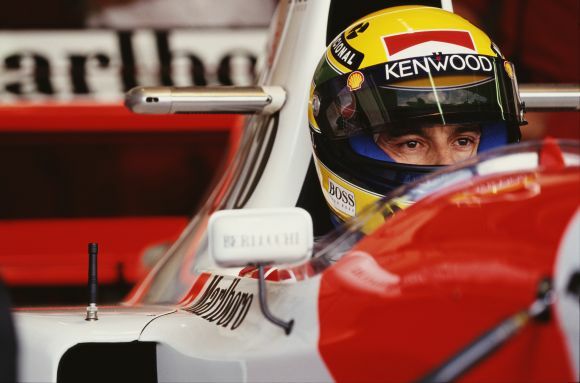 Senna was always special to Brazilians and the triple champion remains so today, 20 years after his fatal accident at the San Marino Grand Prix at Italy's Imola race track. He was only 34. "Schools bring kids on excursions," said Alan Estevao, a cemetery security guard who lives at Interlagos, where the annual Brazilian Grand Prix is held and where Senna was triumphant in 1991 and 1993. "Lots of Japanese stop here. Some people even comedirect from the airport before they see the rest of the city. 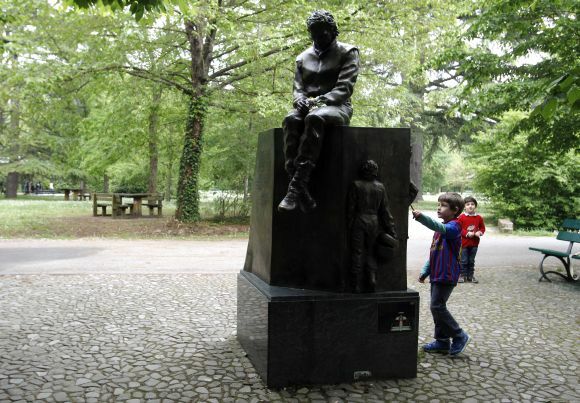 If you come to this cemetery, even to go to someone else’s funeral, you go see Senna’s grave. It’s almost automatic." People often leave pictures, messages or other mementos at the grave but they are quickly gathered up by cemetery administrators, to be passed on to the family or otherwise disposed of. 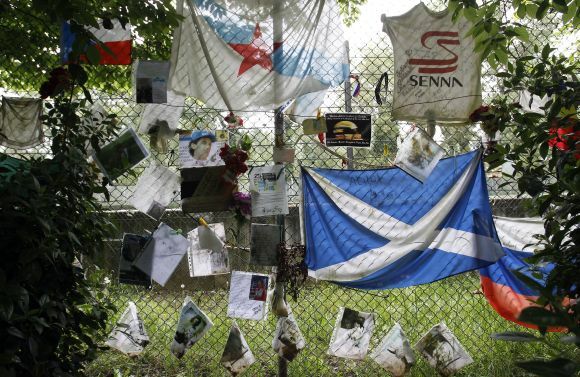 There is little space between the plots and the officials do not want Senna’s grave to become a shrine, any more than it already is. 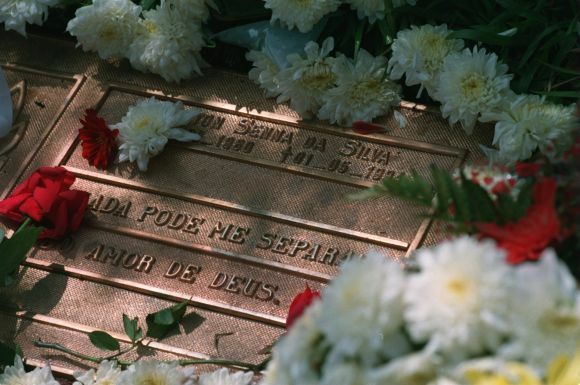 But although there is little to mark it – the plaque says simply in Portuguese 'Nothing can separate me from the love of God' - Senna remains an idol to millions who recall a man who represented a different Brazil and a different era. His state funeral in Sao Paulo brought the nation to a standstill, televised live while a million people - many more according to some estimates - lined the route of his cortege to pay their respects. Three days of national mourning had been declared and images were broadcast around the world, making headlines even in places where the sights and sounds of Formula One normally had little resonance. "You have to remember the situation Brazil was in at the time," visitor Mariane Kido explained. "We had hyperinflation. We were still getting over the impeachment of the president. Even our football team hadn’t won the World Cup since 1970. "Brazil needed someone and along came Senna. He really believed in Brazil and he made us really believe in Brazil, too. He was all we had at the time."